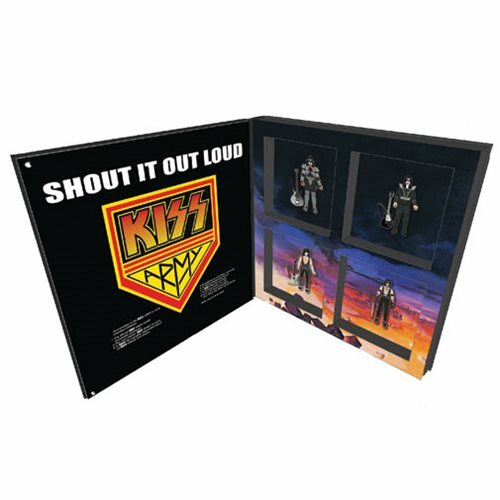 Head to "Detroit Rock City," KISS fans! Featuring all new head-to-toe sculpt of The Spaceman! Convention Exclusive! 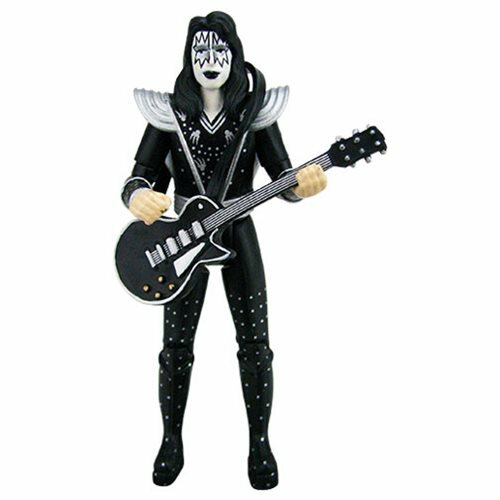 Head to "Detroit Rock City" as the band comes together in this amazing boxed set of 4 excellently detailed 3 3/4-inch scale action figures modeled after the outfits worn on their iconic 1976 Destroyer tour! 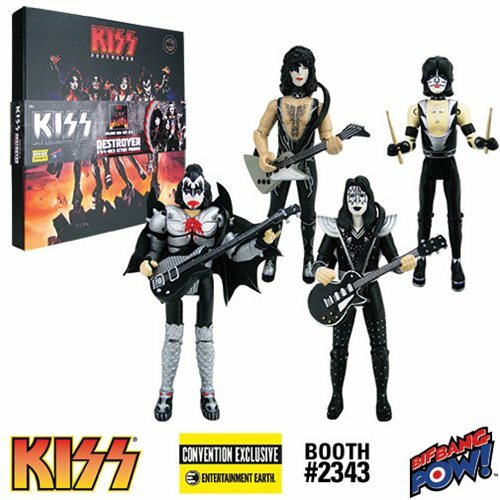 This KISS Destroyer 3 3/4-Inch Action Figure Deluxe Box Set - Convention Exclusive from Bif Bang Pow! 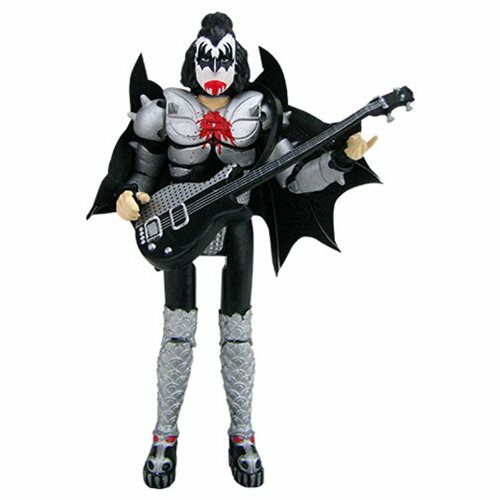 presents exclusive variants of Gene Simmons as The Demon with blood, Paul Stanley as The Starchild in sleeveless costume with a cream guitar, Ace Frehley as The Spaceman with black guitar, and Peter Criss as The Catman in a sleeveless costume with arm bands. Each sensational figure features an authentic sculpted costume and makeup, plus 11 points of articulation (neck, shoulders, biceps, elbows, hips, and knees) for excellent poseability. The ball joints in their shoulders enable them to hold the included instruments! 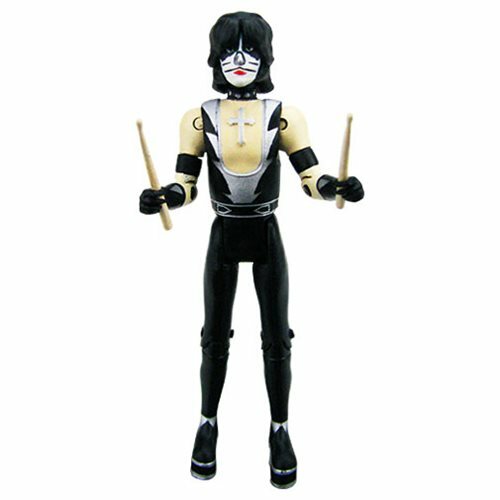 The Demon, The Starchild, and The Spaceman come with their guitars (complete with straps), while The Catman brings his drumsticks. 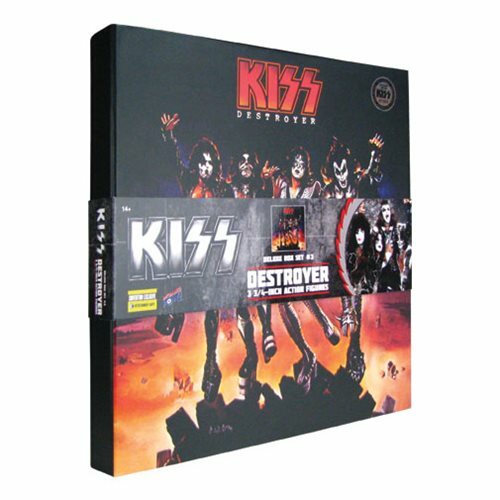 This exclusive box set is a limited edition of only 826 pieces that comes in incredible packaging featuring Destroyer album artwork and an individually numbered holographic sticker. Individual figures also sold separately. Ages 14 and up. 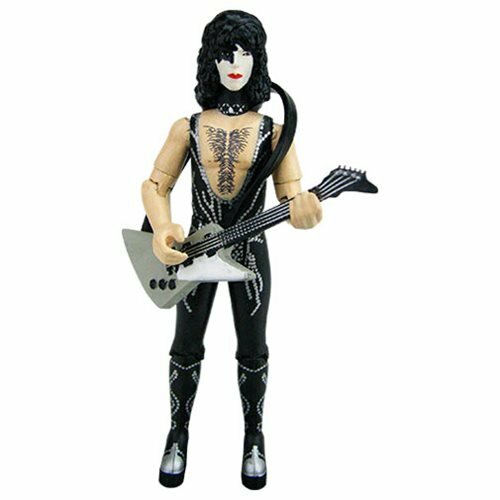 © 2018 KISS Catalog, Ltd. Under License to Epic Rights.